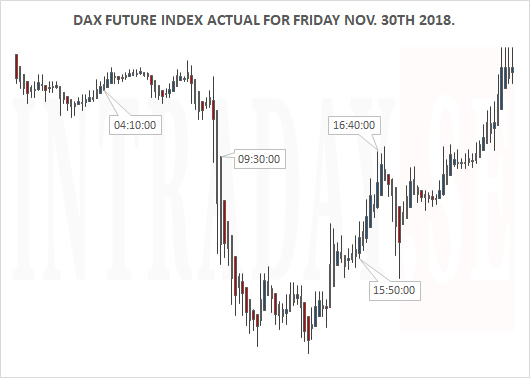 When researching a roadmap for the Dax Future index for this Friday, there looks to be a turnaround just after the European open for then to see markets trend lower into the US session. This complete mapped intraday chart is layed out below. Below is a table outlining how the DAX performs until now that one hour of trading from July this year. 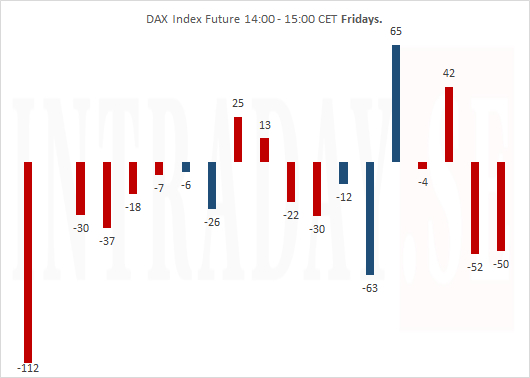 The average movement for the index is - 18 points from 14 - 15 CET and the range 58 points. 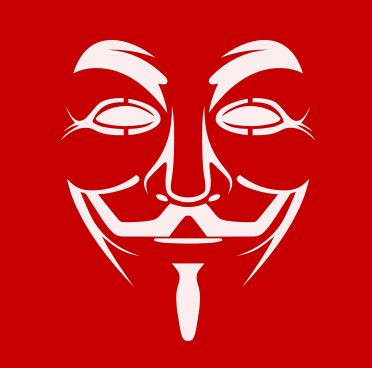 Why this downmove has been so consistant is difficult to tell, but economic macro data normally released 14:30 CET could be an essential factor. 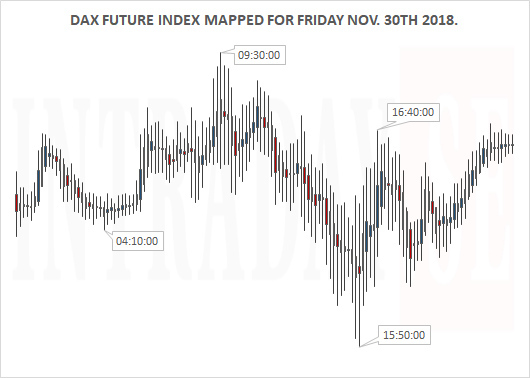 This table do support today's intraday Dax map, but remember that timewindows may act inverse or even accelerate an already existing trend. Read stop loss. Depending on how this map for Friday was traded, the outcome by following the map could resulted in + 40 points this intraday. The trades could for ex have been - Long at 04:10 to sell out at 09:30. Turn short at 09:30 to cover the position 15:50. Go long 15:50 to sell out 16:40. The results will obviously depend on were stop losses are placed, and how exact the timing of the trades are up against the timewindows.